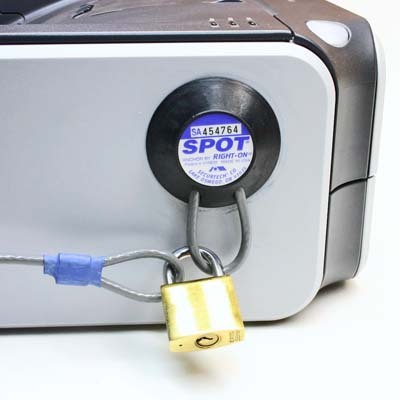 SECURITY SLOT (or "Laptop Lock") style locks will work on any device with a security slot. That includes most all PC's, monitors, printers, projectors and peripherals. If you don't have a security slot on your device, you can add one with our model SSA Security Slot Adapter. ANCHOR COMPUTER LOCKS are securely bonded to any type of device. One anchor can be used on a single device or several devices with anchors can be connected with a cable and locked with a single padlock. Planning a system with Anchor Style Computer Locks? Why do top universities, hospitals and Fortune 500 businesses prefer our locks?